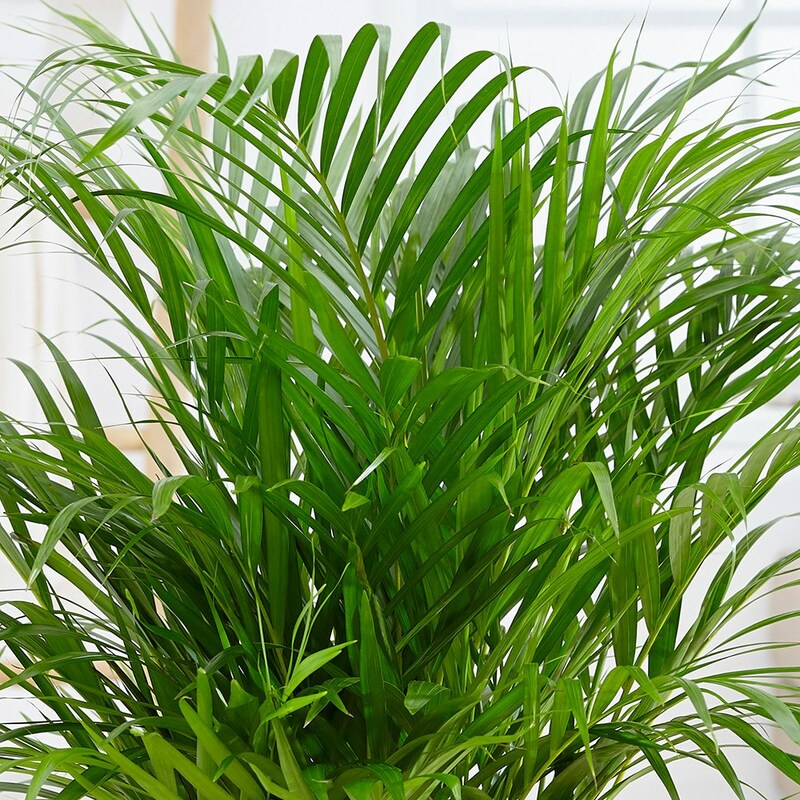 A graceful and attractive palm, with closely growing upright stems and long arching linear leaves that will create a handsome focal point in any room. Still one of the most popular houseplants and it is easy to see why as it is so versatile and easy to look after. Please note that the pot in the photograph is not supplied with the plant (which is sent out in a black plastic pot). They do however make excellent potted plants, and if you wish to pot yours up, we do have a wide range of pots on our website to choose from. The yellow spots and sticky foliage could be caused by a sap-sucking insect, so do check the foliage carefully (both on top and underneath) for any signs of them. Then you can either wipe them off, or spray the plants with a suitable insecticide. Hello, am I supposed to re-pot the plants when I receive them or are they OK to stay in the pots they've come in? 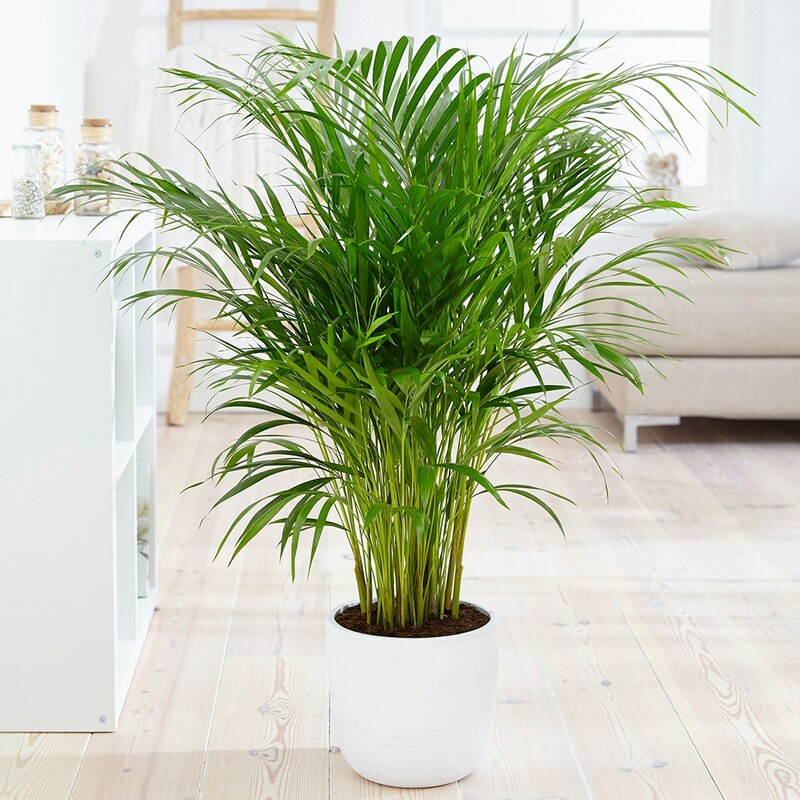 Hello, This plant will be fine in its existing pot for a year or two, but then you should think about re-potting it.